The software loads data obtained from recording devices (sometimes known as car black boxes) placed in a so called floating car. The data consists of two video recordings from onboard cameras placed at the front and rear of the vehicle and GPS coordinates. 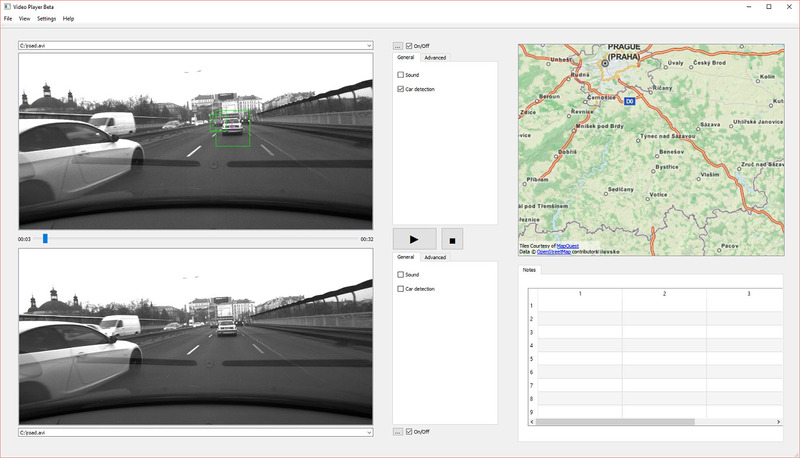 Both video data are played simultaneously synchronized by the time stamp and are processed by a car detection algorithm with cars visually marked directly in the playback. The GPS coordinates are used to display the actual location of the floating car on a map. Software can be customized upon users requirements. Price will be negotiated upon volume of required changes.